#USABMU17 roster announcement in the morning ... Tonight was the final practice for the 18 finalists for the 2018 USA Men's U17 World Cup Team. Preparing for the challenges on the road. Just five days until the USA Men's World Cup Qualifying Team takes on Mexico in a sold out arena in Mexico City. 5 days away from first tip in Argentina! 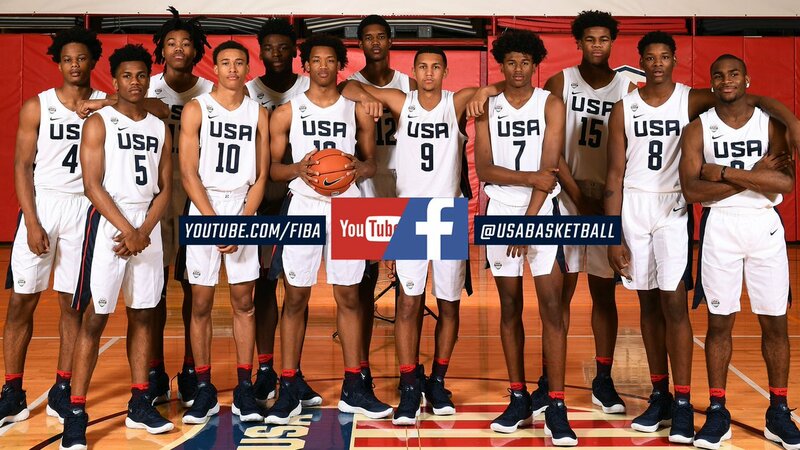 #USABMU17 begins its journey at #FIBAU17 on June 30. Stream all of the action on the USA Basketball Facebook page or FIBA's YouTube channel. Another international recruiting trip is coming up for the UK basketball program. Wildcats assistant coach Joel Justus is scheduled to travel to Argentina later this week to scout the FIBA U17 World Cup, which will feature a USA Basketball U17 squad that is loaded with five-star talent. Husky Kerem Ozturk ‘20 has been selected as Team Captain for the U17 Turkish National Team! Turkey will face Puerto Rico in the opening round of the FIBA U17 World Cup Saturday June 30 at 7:30pm EST time. Go Huskies!